We’re not totally sure if The Color Factory was created for anything except for the glory of Instagram — but have you seen the photos?! If not, check out #ColorFactoryCo on Instagram now. 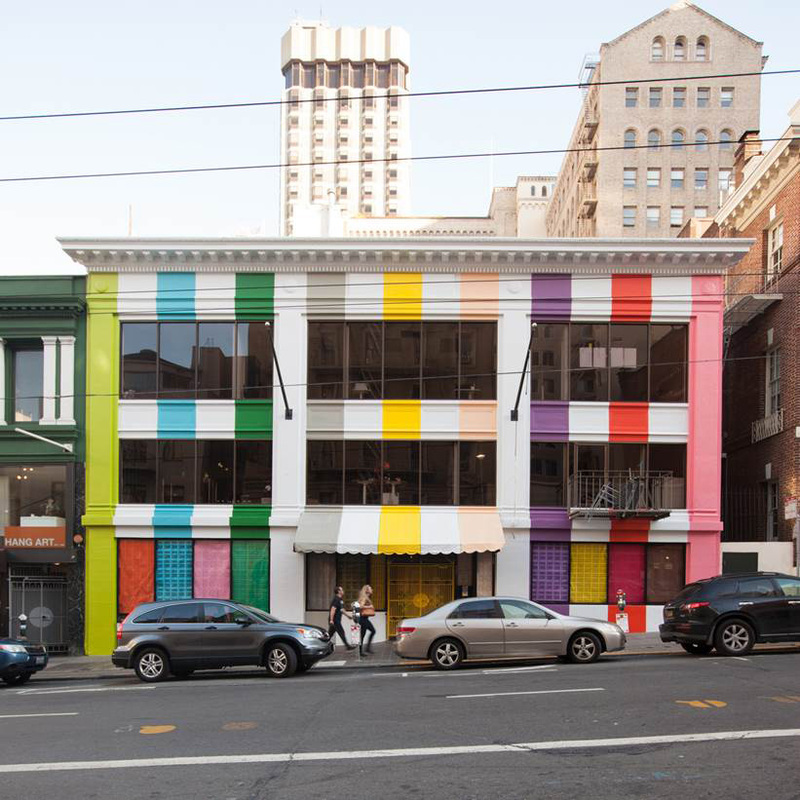 And in case you haven’t heard about it (or scrolled thru it on Insta), The Color Factory pop-up opened a block from Union Square and just 3 from Stanford Court in Lower Nob Hill on Aug. 1, 2017. The pop-up experience features 2 stories of interactive and colorful installations, such as a giant Lite Brite, a wall of colorful ribbons, a blue balloon room, confetti machines... Oh, and lest we 4get, a gigantic yellow ball pit. Created by event planner and founder of Oh Happy Day, Jordan Fenner sought to create an interactive experience that was photogenic and also harked back to childhood. A room with giant markers that have a fresh-cut-grass scent plays on both nostalgia and the senses. The Color Factory really achieves this experience. The giant yellow ball pit encourages those frolicking around to “Imagine you’re swimming in a big bowl of lemons.” From the photos, adults seem to be enjoying this more than children, with the majority of subjects def looking of voting age. The installations come from many different artists and collaborators, including Carissa Potter, Geronimo Balloons, Jessica Hische and Leah Rosenberg. If you go, don’t forget a very fun part of the experience, a paper guide which takes the technicolors out into the streets of the foggy city. The Color Factory’s San Francisco neighborhood map includes 17 color experiences throughout the city, with snacks or even curated manicure options at a local boutique. Also, know that tickets must be purchased in advance on their website here. While the pop-up was only intended for the month of August, its popularity has it sticking around for longer than that.